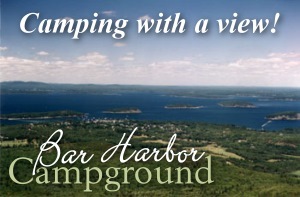 Bar Harbor Campground is the Closest Campground to the town of Bar Harbor, Acadia National Park and other points of interest. We offer quality camping, at affordable prices and we accommodate the smallest tent to the largest RV. This quiet, family owned campground, open from Memorial Day to Columbus Day, is perfect for families of all sizes. and don't take credit cards.